Make the most of your available closet space. 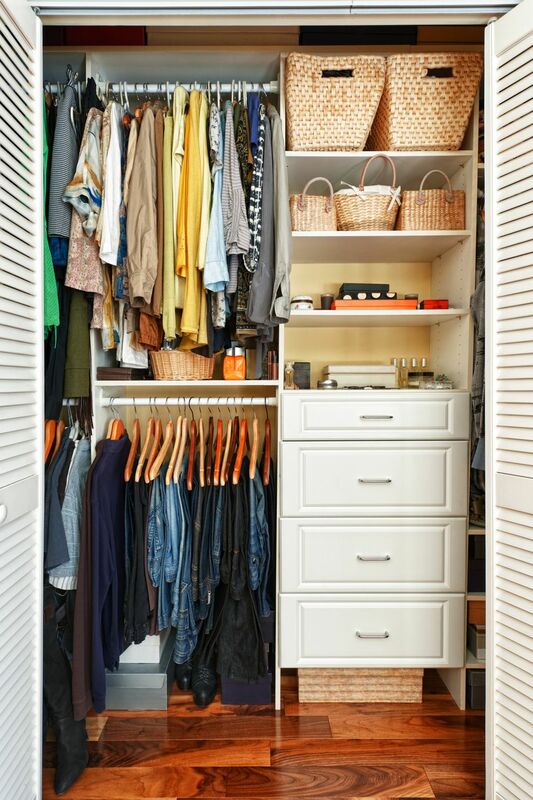 Closet organization is usually low on many homeowner's spring cleaning list because it’s so easy to just close the door and hide the mess inside. However, closet space is also among the most limited space in your home, which can lead to your closets becoming unorganized if you don’t effectively utilize them. 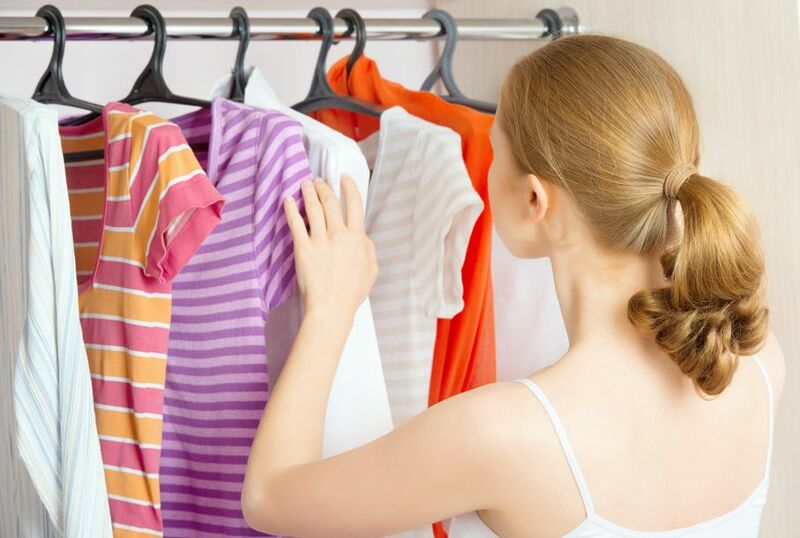 Cluttered closets create frustration down the road when you’re looking for that dress or pair of shoes you *think* you remember just shoving into the closet last August to quickly “deal” with it. That’s why it’s important to give more thought to how you organize your closet space, and to make the most of what you have available. One way to maximize your closet space is by hanging bags on the interior of your closet door. If you have a big purse collection, you can install a set of hooks on the door to hold your collection. The hooks can also hold belts and ties. Hooks are great to keep your stuff from ending up on the floor or shoved haphazardly into boxes. 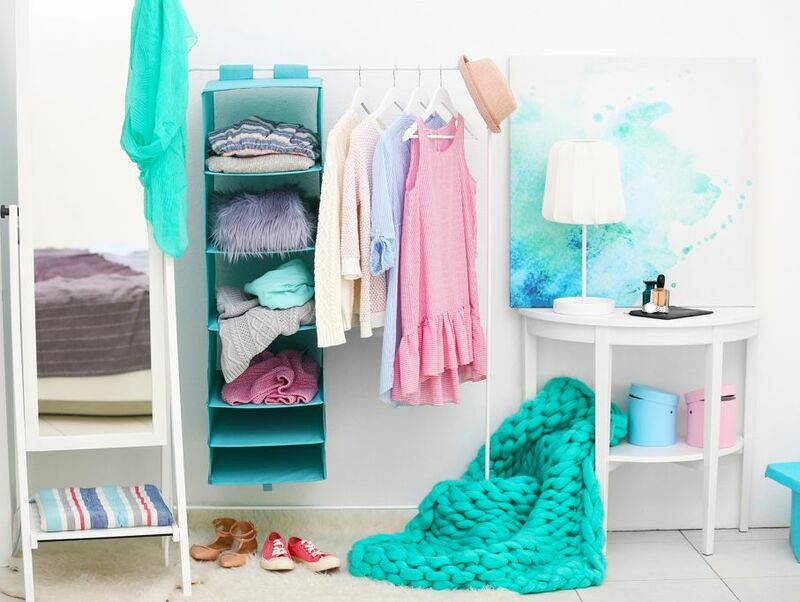 If you’re going to use storage containers in your closet, you should coordinate their colors. Matching container colors will aesthetically pull the closet together while also creating a focal point. And you can use matching hangers to further improve your closet’s appearance. White hangers are especially useful for sprucing up the look of your closet. But if you want to add a pop of color, you can even use spray paint to make your hangers match. 3. Drawers for Your Drawers? 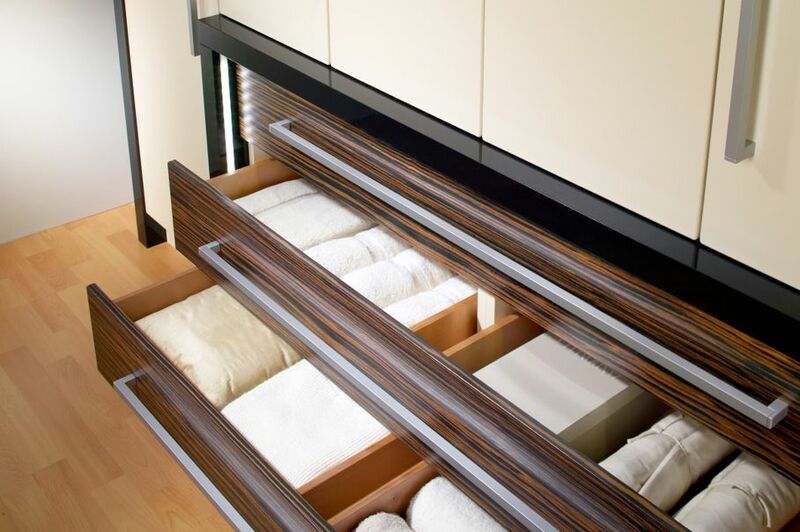 Adding drawers is a good way to make your closet more organized, but make sure your drawers actually serve a specific purpose, like storing socks, undergarments, and shoes. You can also use drawers to sort your outfits by their respective uses, such as a drawer for weekend outfits, or for your workout clothes. Get creative! If you own a lot of shoes, try using a small bookcase inside your closet to store and organize your footwear. This will make it easier to keep your shoes together with their matching mates, and will also protect them from being in a jumbled pile on the floor where they can get stomped on and deformed. The top of a closet bookcase can also double as storage for jewelry boxes and other storage containers. You cannot label enough. If it’s a container, you can label it. Labeling everything will not only improve your own organization, but will also help to improve the organization skills (or lack thereof) of your seemingly hopelessly-disorganized family members. Now they will know exactly where everything belongs. In turn, getting everybody on the same page organization-wise will make cleaning up and finding things much faster for your whole family. No more wasting time searching for things! Don’t allow closet space to go to waste. If you have a tall closet, install shelves all the way to the top. Closet space is always limited, so there’s no point in wasting any of it. The sky’s, rather, the ceiling’s the limit! If you have a walk-in closet, you can add a cute mirror. This will make it appear larger than it actually is. It will also give you a space to quickly check your accessories before heading out the door. If you live in a colder area, you may find your closet being taken over by bulky sweaters and jackets. You can tackle this issue by installing a hanging shoe rack/organizer. But instead of using it for shoes, you can roll up your sweaters and store them in the hanging cubbies. This will save you a good bit of hanger space while still preserving your sweaters. You can also use a hanging shoe rack as a divider, separating casual wear from formal wear, for example. If you own a lot of sun dresses, you know how hard it can be to keep them on their hangers. They seem to always want to slide off and hang out with their friends in a pile on the floor. Here’s how you can break up their little party. 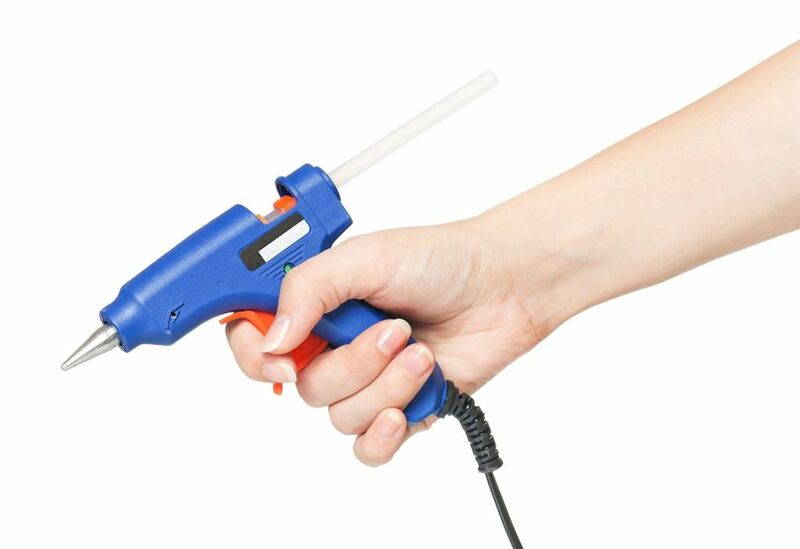 Get a glue gun and put a little bit of hot glue on the edges of your hangers to make them have a non-slip grip. If you don’t have a glue gun handy, you can also wrap pipe cleaners around the ends of your hangers to give them a better grip and keep your dresses off the floor. 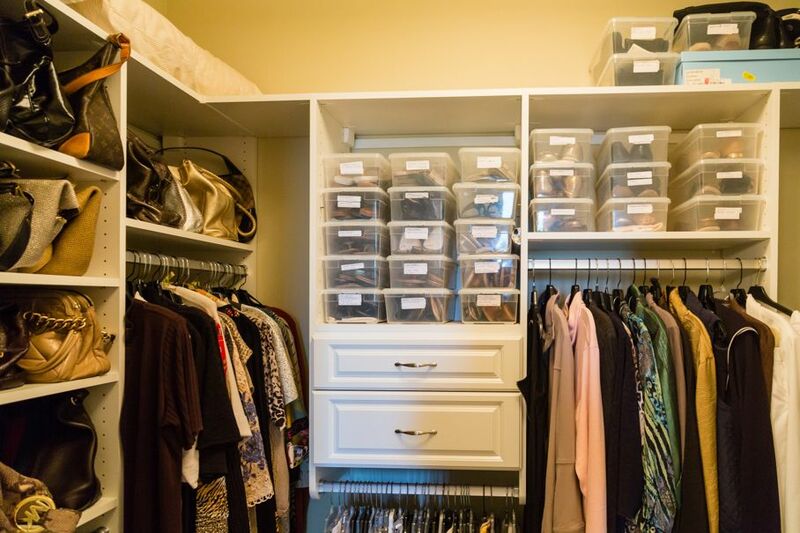 For more helpful closet space tips and tricks read this article about creating organizational solutions.